First and foremost I'd like to confess that I have never, nor will I ever be, enamoured with Formula One racing. Revelations aside, this documentary, directed by BAFTA winning Asif Kapadia, compelled me to jump on Wikipedia and immediately download the contents of the entire article to do with racing's most prestigious competition. The film explores the rise and fall of arguably the greatest race car driver to ever live, Ayrton Senna, with the timeline of his racing spanning a turbulent decade until his tragic death in 1994. 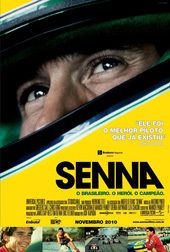 The triumph of this film is its unwavering preoccupation with Senna himself. A man of many contradictions, Senna was a devout Roman Catholic, a national celebrity as well as a consistent benefactor to numerous charities. Yet he is also polarized by his bitter enmity with former team mate and world champion Alain Prost. There are echoes of Talladega Nights within the film, with Senna considered an anomaly within racing due to his Ricky Bobby mentality of 'If you're not first your last', using any means necessary to achieve pole position. This ruthlessness is further displayed by footage of his controversial collision with Prost in the 1990 Suzuka circuit in Japan, which cost Prost the season championship crown. Although this was not the first instance where the two drivers had collided into each other, it was definitely the most explosive, with Prost refusing to acknowledge Senna's win and trying to contend his predicament to the then FISA (Fédération Internationale du Sport Automobile) president Jean-Marie Balestre. Kapadia chooses to focus on the origins of Senna's career as a Go-Kart driver through to his prominence within the Formula One circuit, with any deviations towards his personal life dealt chronologically with his racing. Unlike most contemporary documentaries, Kapadia has constructed his film entirely on past footage from the Formula One archive, with voice over contributions from celebrated motor-journalists Robert Williams from the Guardian, ESPN's John Bisignano, as well as McLaren team-boss Ron Dennis and Frank Williams. The most poignant commentaries were those from his family and from his chief rival Alain Prost. A contrast to the intensity of the racing footage, they humanized the larger than life figure previously drawn in the media coverage, with Kapadia's meticulousness in creating a cohesive narrative permitting us to formulate our own impression of the man behind the wheel. 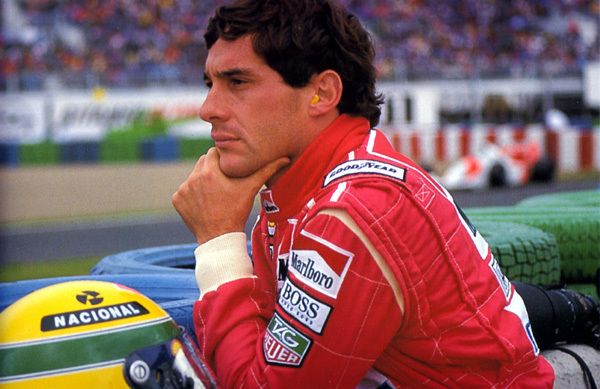 The voice-overs do not affect the over all character of Senna, instead helping to explain the context of the late 1980s and early 1990s racing sensibilities. The editing of the numerous archival clips is also superb because it doesn't encroach on the action of the various tension filled races. This is not a documentary that deals with fast cars and even faster women, but a quiet retelling of a motor-sport legend whose death at the San Marino Grand Prix in 1994 caught the racing world by surprise, and highlighted the mortality of a revered racing maestro. The film concludes full circle, with its closing minutes devoted to Ayrton Senna's recollections as a Go-Kart driver and his views towards the spirit of racing. 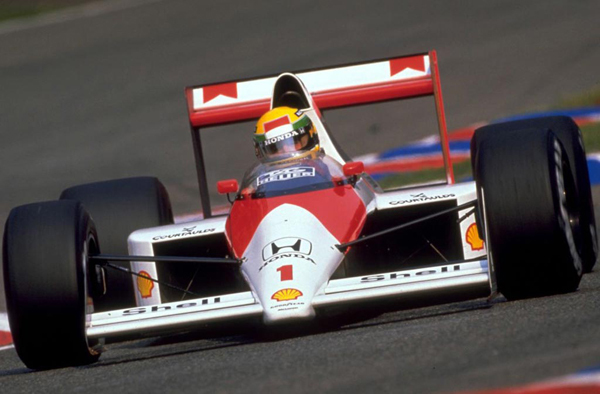 There's a sense that Senna's life was not a life half-lived and despite the politics he encountered after graduating to Formula One, his passion for racing never faltered. This film might not a have a kiss shared between Will Ferrell and Sacha Baron Cohen, but it shines from its ability to confer a time in racing where the difference between a win or a loss rested entirely on the quality of a driver, a quality that Ayrton Senna exuded by the pound.